Creates a smooth placid body of water. 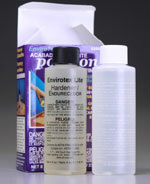 Ideal for large lakes or broad rivers. Easy to mix equal part containers. Kit contains 4 oz. Resin & 4 oz. Hardener. Will cover approximately 2 sq. ft. at ¼" depth. 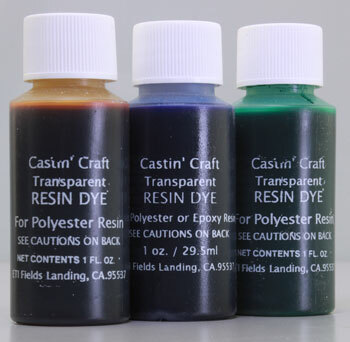 TRANSPARENT DYE SET - Set of three recommended 1 oz. 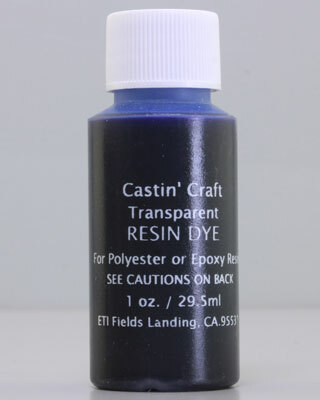 transparent dyes: Blue, Green and Amber. 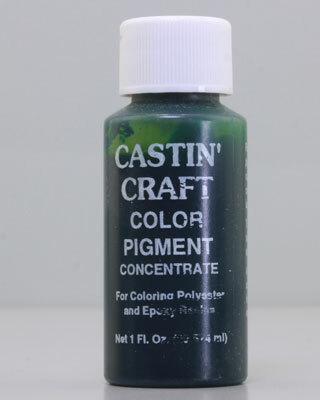 The most commonly used colors for creating river water! 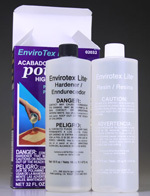 Use with Enviro-Tex Resin. 1 oz. 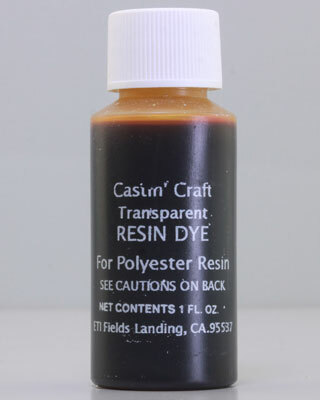 transparent dye. 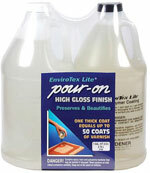 Can only be used with EnviroTex Resin Water Kits. 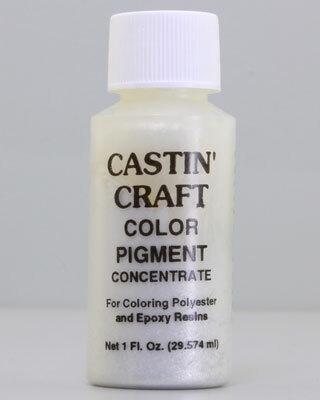 Pearl Transparent Dye - 1 oz. 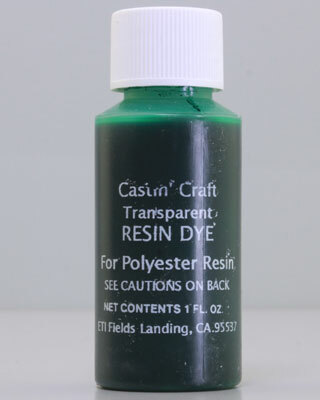 transparent dye. 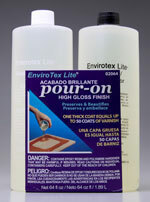 Can only be used with EnviroTex Resin Water Kits. 1 oz. color pigment concentrate for coloring polyester and epoxy resins. 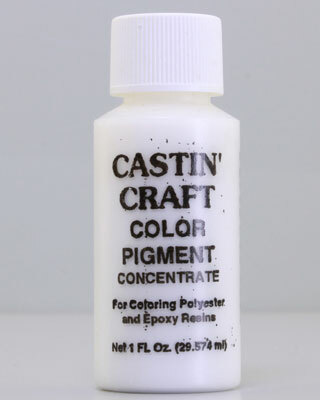 Recommended for coloring EnviroTex Resin Water Kits. 6 oz. 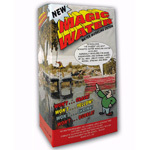 Magic Water - "JUST MIX AND POUR" - No heating, no layering, ample working time! Cures in 24 hours. Complete illustrated instructions and tip sheet included. Coverage for an 18oz. box is 8" x 8" body of water at 1/4 inch depth. Click for more detail! 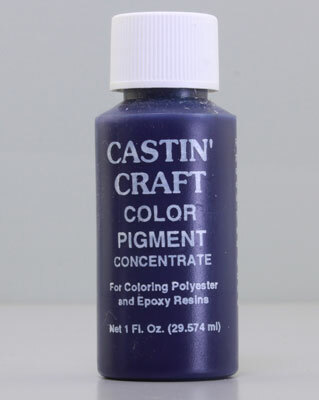 See also MW0018 (18oz. Kit) and MW0096 (96oz. Kit). 18oz. Magic Water - "JUST MIX AND POUR". Complete directions and tips available! Not recommended for small children. 18 oz. will cover approximately 150 sq. inches 1/4" deep. Click Image for more details! E-Z Water - This revolutionary heat activated water modeling material has been developed for the special needs of the scenery modeler. 16 oz. REALISTIC WATER - For modeling lakes, ponds, rivers and more. Pours directly from bottle is is self-leveling. NO MIXING REQUIRED. 16 oz. bottle. Water Effects - A heavy-bodied product which holds its shape to create waterfalls, cascades and/or moving water. 8fl. oz.